Jersey City, NJ – January 30, 2018 – TrialScope, the global leader in clinical trial transparency and compliance solutions, announced today that its Director of Product Management, Francine Lane, and Chief Strategy Officer, Thomas Wicks, will both deliver presentations at CBI’s Fifth Annual Clinical Data Disclosure and Transparency Conference. The Company is also a sponsor of the conference, which takes place on January 30-31, 2018, in Philadelphia. 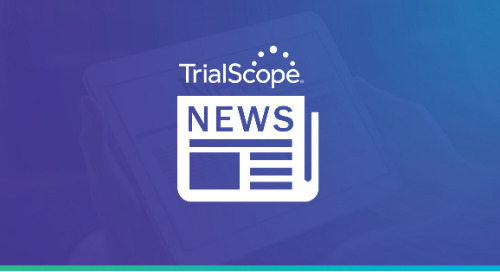 TrialScope executives will participate in three speaking sessions at the conference, designed to help sponsors navigate the complexities that accompany increasing regulatory requirements around data disclosure and transparency. Francine Lane will deliver a presentation titled “Navigate FDAAA 801 Final Rule Implementation and Compliance” at 2:15pm. Her session will explore the law’s requirements and discuss best procedural practices for registration and submission procedures and cross-functional information flow. Thomas Wicks, alongside three industry colleagues, will participate in this panel, which will explore the latest pressing topic in trial disclosure, plain language summaries. Wicks will present on the trends of trial transparency beyond regulatory requirements, the drivers for disclosing additional data, and the organizational approaches to implementing a more expansive transparency policy. The post TrialScope to Sponsor and Present at CBI’s 5th Annual Clinical Data Disclosure and Transparency Conference appeared first on TrialScope.